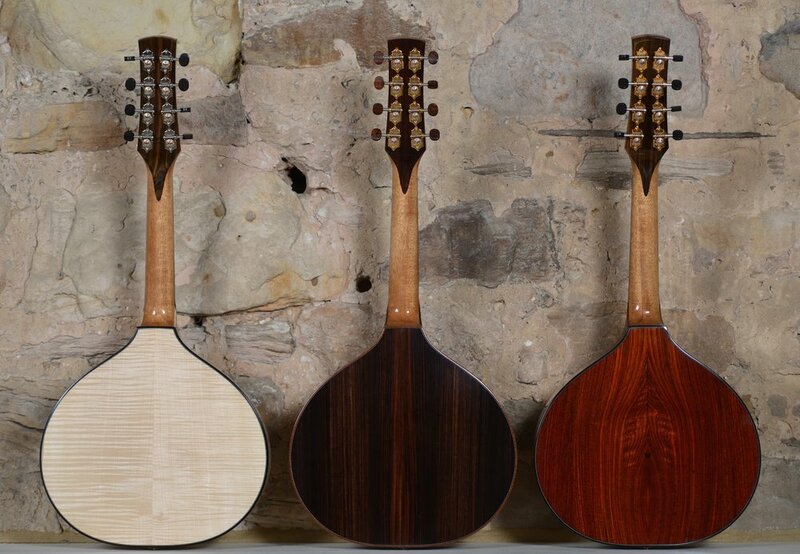 The Springwell Mandolin is a Celtic mandolin designed in collaboration with Kevin MacLeod, a fantastic traditional folk player from Edinburgh. It is an Archtop flat back mandolin with a Portuguese or Sobell style neck joint. In terms of sound, it has full bright trebles and a solid mid range, a good amount of sustain and a strong bass with great balance across the range. We are both very happy with the result. The name Springwell is the name of Kevin's first album; we thought it fitting to use it for my first mandolin. Back and sides in either Scottish Sycamore or pre-CITES 2017 Cocobolo. Soundboards are the finest Swiss Spruce. Standard nut width is 33mm with a 41mm string spacing at the hand carved Ebony bridge. Taran ’t.’ hand cut logo on the head stock in Sterling Silver or 9CT Gold to match the metal of the fantastically accurate and stable Waverly Tuners in Gold or Chrome with wooden buttons. Springwells come with a Hiscox Pro II Case and include delivery in the UK. Uploaded by Kevin Macleod on 2018-03-23. Uploaded by Kevin Macleod on 2018-03-30. Would you like a Springwell built to your exact specifications for the music you play?